Another successful season comes to a close at Giza and Memphis in Egypt. Ana asked me to draw many sections and profiles in the FAD* area. 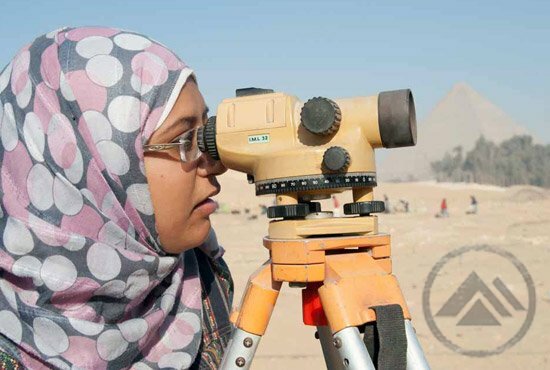 Every morning, I would go to my tent to prepare my things and then have a look at the site: it was so crowded, so noisy, with everyone otherwise discussing together, digging or recording, the workers talking all together as well. 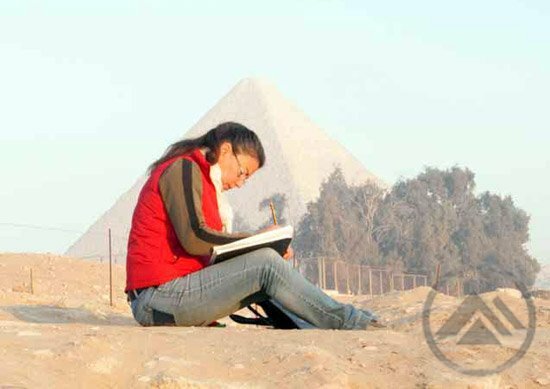 The AERA 2011 Mit Rahina Field School has allowed me the opportunity to study many disciplines, including drawing, the study of animal bones, human bones and pottery. But I am actually fascinated by archaeobotany – the study of ancient plants! This is taught by Dr. Mary Anne Murray and the study is important because it shows us the social and economic situation of these populations thousands of years ago. We also learn about differences in the rich and poor communities in terms of the relative quality of the plants consumed by these ancient generations. The process of flotation. Photo by Yasser Mahmoud. These plants are preserved by charring, being burnt and therefore preserved. 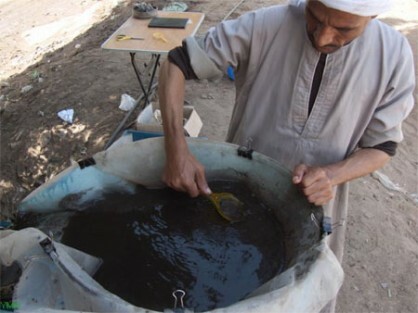 Some plants in ancient Egypt are also preserved by desiccation (or drying due to the arid climate), but also as plant impressions preserved in pottery, mud brick and plaster, as well as the gut contents from well preserved bodies which are important as direct evidence of their last meal – though we have no remains like this at Mit Rahina – only charred plants! 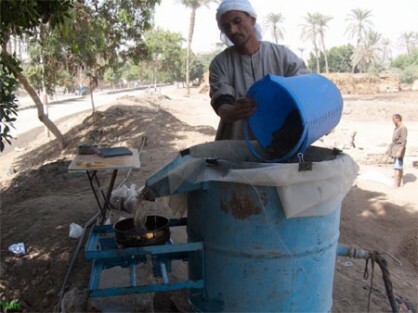 Recovering the sludge which has charred plant remains. Photo by Yasser Mahmoud. 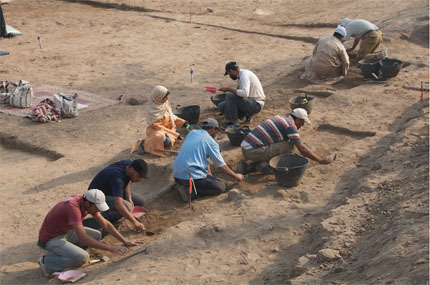 Archaeozoology is the study of animal remains, animal related artifacts and animal related features. The study of animal bones is important because it answers questions about the past, like who, when, what and the important question is why. It can tell us about the economy and the social structure in the past. Last year, I applied in the field school to study archaeozoology and I was very lucky because I was the first student in that field. 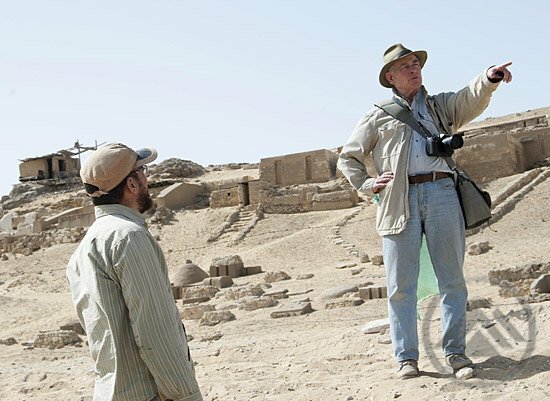 I trained with Dr. Richard Redding, AERA archaeozoologist. He taught me how to study animal bones and what to do with the information after identifying bones. We should excavate the fauna carefully and keep accurate records of all the data (include area code, square, feature number, bag number, date and excavator name). 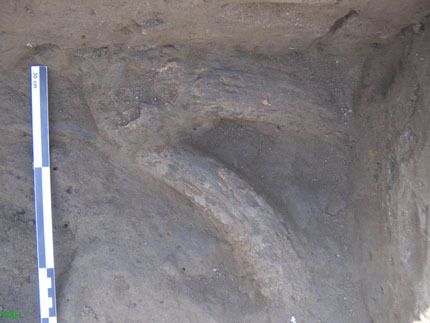 A pottery jar in situ. Photo by Lamia el-Hadidy. This week, I was asked to draw an elevation of two walls in the Kom el-Falhry site dating to the Middle Kingdom. So while I was drawing it, I noticed its contents. It was built with mud brick but inside it, there were pottery sherds. 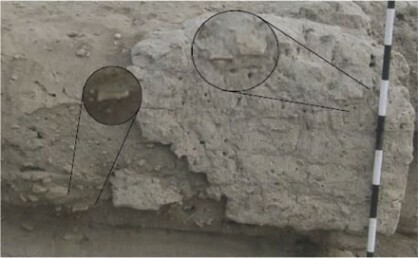 At the same time, pottery sherds formed a layer below the mud brick and they were also a part of the wall core. And in both cases the sherds are part of shaping the wall. Sherds in the mudbrick, sherds separating brick courses and sherds in the wall core. Photo by Yasser Mahmoud. 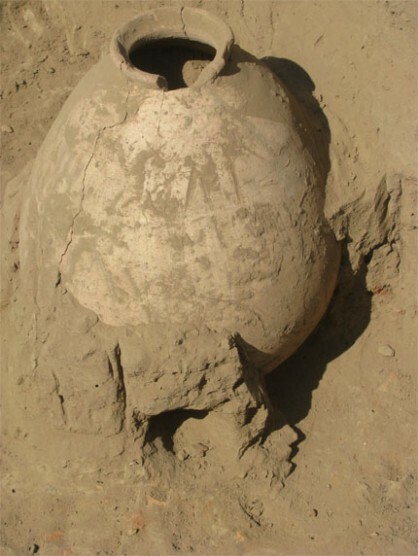 How incredible the ancient Egyptian worker was, making the pottery from the dust, then using it during its life. He would later use its sherds mixed with clay to make both the core and courses to build the wall. He was the leader in the reusing system, even with this – the most simple stuff – the pottery sherds. He was very clever in using all his resources to serve his needs whatever they were. 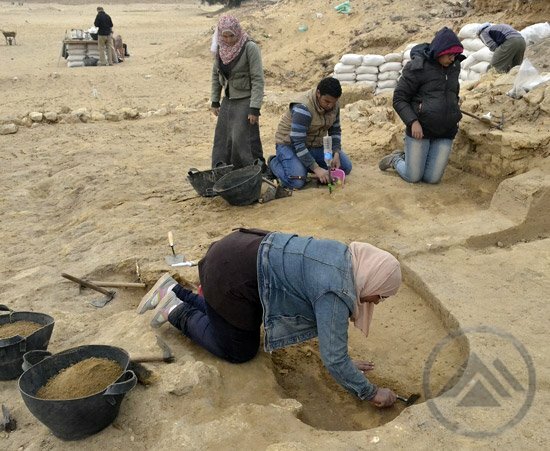 In the beginning of my career as an archaeological field conservator, I worked here in Kom el- Fakhry just a few meters east of the field school concession, as well as in other projects in Mit Rahina later on. Upon my return to the site this season and meeting old acquaintances from different times, I thought of being “Back to the Future”. As a conservator, or to be more accurate “field conservator”, you don’t know exactly what you’ll be working on even if you have previous experience in the area. You could have a different period or a different function of the place. And what I have here in Kom el-Fakhry is both a different period and different function of the site. 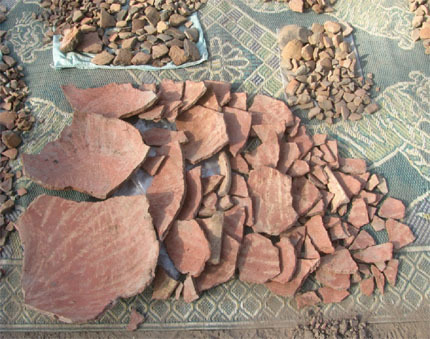 But the objects’ materials are almost the same : pottery, stones, faience, flints….etc. When I started to study sundried bricks in 2005, I had no clear plan because so many studies had already been done. I said to myself, “What can I add to the abundant brick studies which cover bricks as an architectural item?”. These studies also cover the geochemical and sedimentological composition of the bricks. But Ana Tavares pushed me to create a brick typology after she noticed that I was interested in the brick measurements. 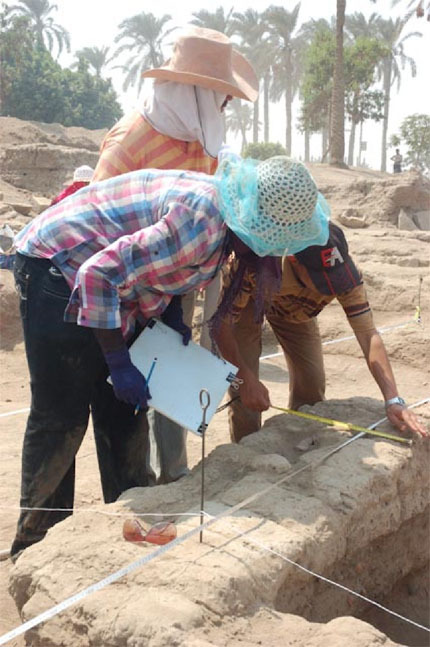 The Giza excavators kept asking “Is this a Nile clay or a silty brick? And this one, is it a silty-sand brick?”. Through years of work on the brick topic, I made the “Giza Sundried-Brick Field Typology” which focused on the brick as a culture artifact. 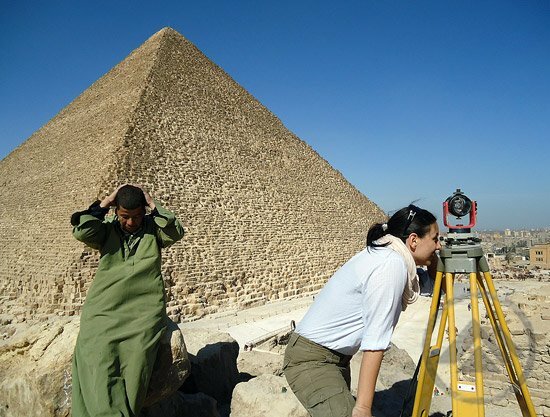 The philosophy of this study is that all data collection and analysis could be completed in the field with very little technology. In the field and not in the lab, without microscope or special permission; Simply by hand and by eye with a pick and a tape measure. 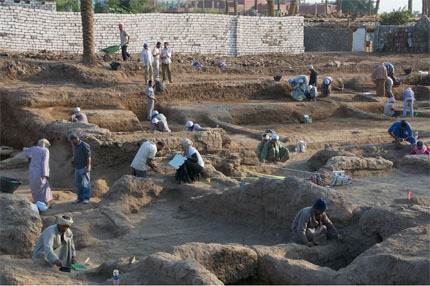 The ARCE/AERA Field School in Mit Rahina 2011 is training the next generation of archaeologists. I’ve heard, met and known many of their graduates and they encouraged me to apply. In the interview, which was held on July 15, 2011, there were many applicants. I was very nervous. But lucky me, I was one of whom they chose to get the opportunity to reach my highest potentials that I didn’t know I had or may needed to be discovered. The teachers are challenging all the students with the evaluation system. They provide a unique program in learning that depends on the actual practice and on what we learn in lectures. These lectures help us through our work and they are about pottery, osteology, matrix, animal bone, conservation, etc. The evaluation system consists of different methods such as weekly presentations, reports, and daily evaluations. 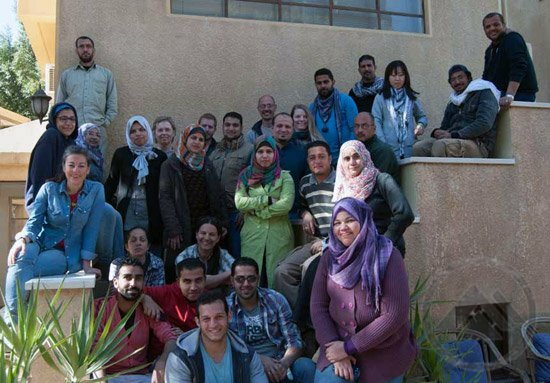 Time is flying by and we are almost in week four of the field school program. 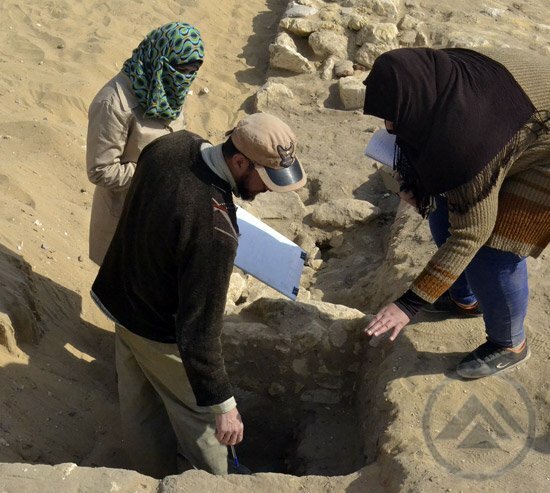 Since arriving at Kom Fahkry, the students have been enthusiastically learning the key aspects of archaeological work. 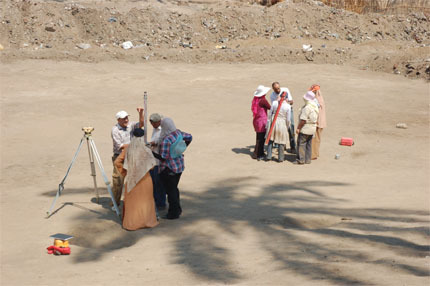 While on site, they have received training in the laying out of a grid from which they can map the archaeological remains. As well as learning how to draw maps to a particular scale, the students have been taught the individual parts of the recording process, such as photography, how to use an automatic level, and how to complete the recording sheets. 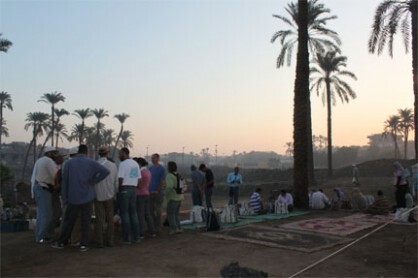 In the shadow of the Saqqara Pyramids, right where the desert becomes fertile land, every morning a group of almost 50 people waits for the minibuses. Their tired eyes can´t hide the enthusiasm for a new day of intensive learning and work, despite the early hour and the dark sky. The destination is the site, Kom Fakhry (Mit Rahina), where we are trying to shed light on the early settlement of Memphis. This another day of intensive work and learning here at the Mit Rahina Field School, which has been an amazing experiment, both at a personal level and also in terms of my research. Despite being my first fieldwork in Egypt, this is also my first visit to this amazing country. All my expectations have been supplanted and more than ever I feel delighted to have decided to do research on the palaeo-landscapes of Memphis.